Halloween fun for the adults. 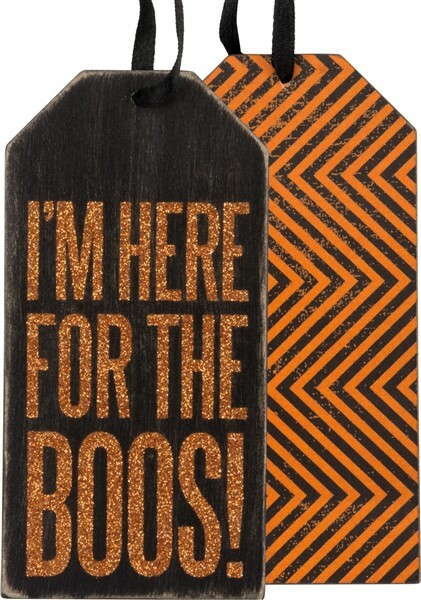 This bottle tag is a scream! Made of wood, paper, ribbon and glitter, it is approx 3" x 6". Your party host will love it on the bottle you bring to share.